Reach the West Ridge from the upper Cockayne Glacier and scramble to the summit. 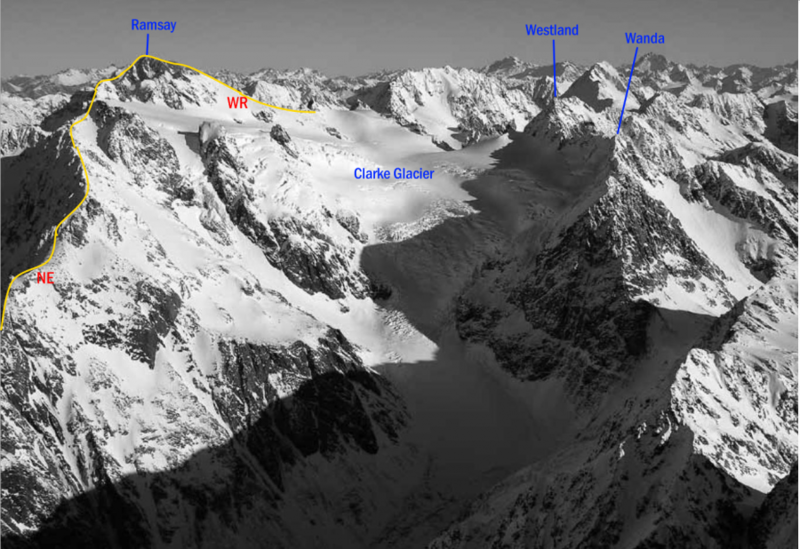 Follow straightforward slopes from a col between Mt Westland and Mt Ramsay. Gain the South Ridge from the upper Cockayne Glacier. The rock is poor in places. 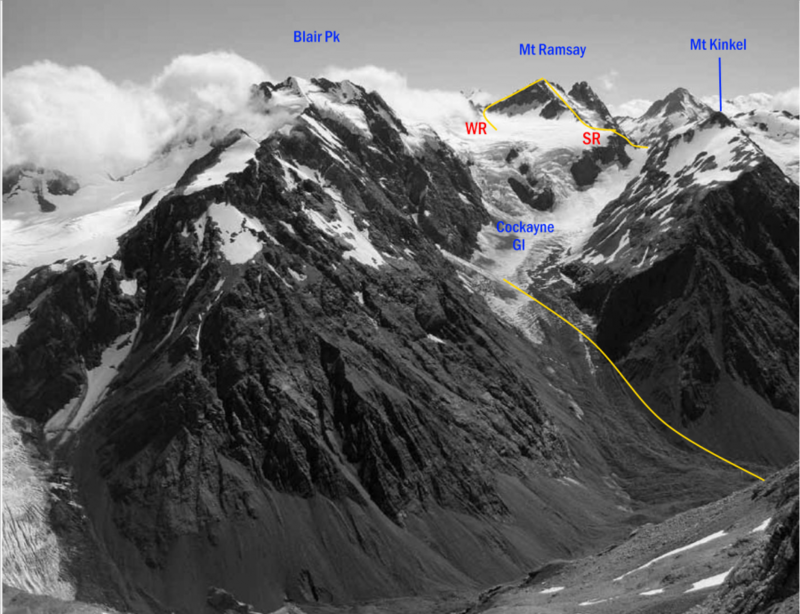 Under good snow conditions the loose rock of the South Ridge can be reached via the St James Glacier. From the Clarke moraine climb up a ridge between the Clarke and Ramsay Glaciers and continue along rock and snow to the summit.